Produktinformationen "MagPul Dynamics " Art of the Dynamic Shotgun " 3 DVD Set"
The shotgun is known for being absolutely devastating and for being highly versatile in the hands of a trained operator. 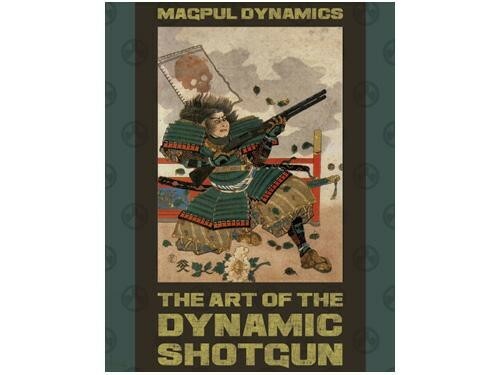 The Magpul Dynamics Art of the Dynamic Shotgun is a 3-disc DVD set featuring over five hours of actual live fire class instruction and additional instructional material. Using a diverse group of beginner, intermediate, and advanced students, Magpul Dynamics instructors, Travis Haley and Chris Costa guide shot gunners up an intense ladder of excellence from the fundamentals of shotgun operation, to problem solving, and through complex real-life run-and-gun scenarios. This progression from basic to advanced, rapid weapon manipulation pushes students of all skill levels to their failure points, illustrating how even the best shooters can advance and excel. On this journey, the viewer takes a student perspective, benefiting as the students identify and solve problems with a variety of shotgun platforms. This 3 disc instructional set progresses quickly as it covers the fundamentals of shotgun manipulation, pattering, weapon's configurations, actions types, ammo management, and real life complex scenarios for the Home Defender, Law Enforcement Officer, Military Operator, and Competitor. Weiterführende Links zu "MagPul Dynamics " Art of the Dynamic Shotgun " 3 DVD Set"
Kundenbewertungen für "MagPul Dynamics " Art of the Dynamic Shotgun " 3 DVD Set"